“We believe you shouldn’t have to sacrifice health to find indulgence. We promise all our products will be naturally better for you with no unnecessary ingredients, but most of all they’ll always be absolutely delicious. We love it, we think you will too” Ed and Richard Doisy & Dam. I will never tell someone to cut out ‘bad’ food completely. If you are living a predominately healthy lifestyle, a bit of chocolate here and there will do no harm. I for one am partial to a couple of squares of dark chocolate with a cup of tea in the evening. I have got into the habit of lighting a candle and watching Netflix in bed with a Doisy & Dam bar… I probably need to get a life. 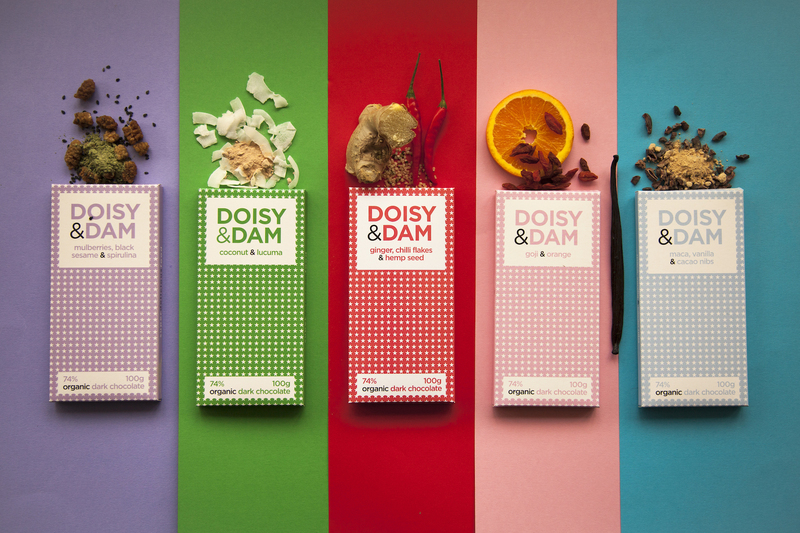 Doisy & Dam is the answer for all chocolate lovers because not only is it a great healthy alternative, it actually tastes so good too. The now have a wide variety of flavours that I am quite happily sampling for you guys, and I can’t quite pick my favourite just yet although I do love the Goji and Orange. They have hit the nail on the head mixing indulgence with health. The list of ingredients is short and made with organic products and additive free. Most bars are Vegan and all made with pure cacao in different percentages. You can now treat yourself to chocolate in moderation without feeling any guilt. Most mainstream chocolate bars are loaded with sugars, additives and preservatives. Doisy & Dam have limited the amount of processed sugar to keep them as good for our health (and waistlines) as possible. Cacao is the product of a plant that makes the chocolate we all know and love, but before it gets processed. It is chocolate in it’s most natural form therefore in it’s healthiest form. It isn’t just ‘not bad for you’ cacao has some amazing health benefits too, including having a higher antioxidant level as blueberries which reduce the risk of cancer, lower LDL cholesterol levels and improves heart function. Yes, this means technically cacao is good for you. 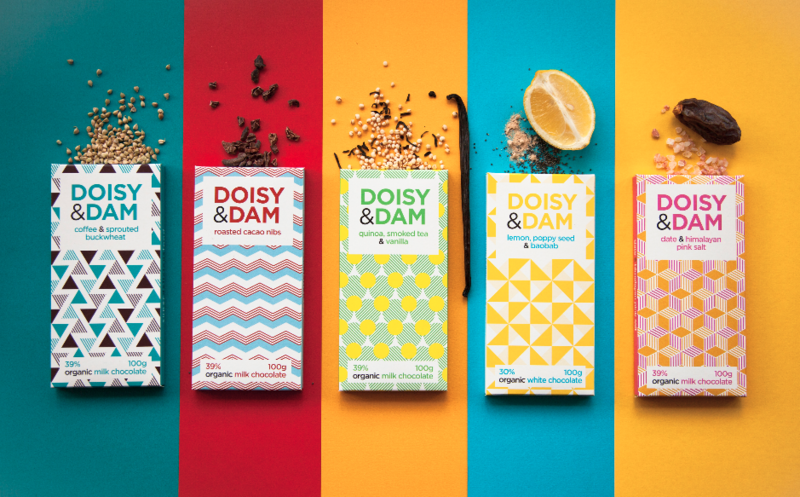 Doisy & Dam Superfoods - get to know! Spirulina is a blue-green algae, two thirds of which is pure protein. This deep green powder is also a source of vitamin B12, iron and magnesium. Algae may not sound too appealing but trust us, you'll love this superdelicious combo! Lucuma is a superdeliciousfruit native to the Peruvian Andes. Packed full of nutrients, it's a good source of potassium, iron, zinc and B vitamins. Buckwheat is a small but mighty pseudocereal originating from China 8,000 years ago. We sprout ours to let these little grains come alive, unleashing their goodness and easing digestion. You’ll love the crunchy-coffee combo!